Our NF Midwest community is working together to improve the lives of people with NF. We have great group leaders in areas throughout the Midwest. Find Local Support! Step Up For The Cause! Wonderful volunteers have stepped up to support the NF community in several areas that NF Midwest serves. These volunteers are NF Midwest liaisons. They may be our main connection to a local clinic. They also may help us to put together educational, awareness and fundraising opportunities. Most importantly, they offer support to people locally. We have a lot of people in Indianapolis that are looking to get together and build a strong NF community, but currently Indianapolis lacks a leader! If you’re interested in building community and improving support and care in the Indianapolis area please give us a call at 630-945-3562 or email info@nfmidwest.org. 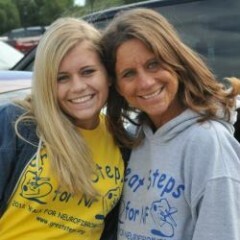 Our Fort Wayne group holds a Great Steps 4NF Walk every year and is looking to build the NF community. There is also a family night at the TinCaps in May. The Central Missouri group generally has an NF support group meeting the third Wednesday of every month at the Callaway County Public Library. They will be holding their first walk in Columbia on May 4, 2019. 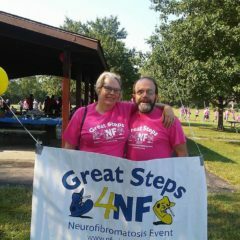 Tim Eberle and other great volunteers put together a fantastic Great Steps 4NF Walk every year in the Madison area. They gather months in advance to plan this event. 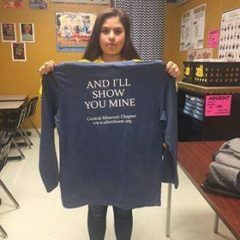 This is not only great for raising awareness, but the group gets a lot of support in getting together. Contact the Madison group if you want to get involved! 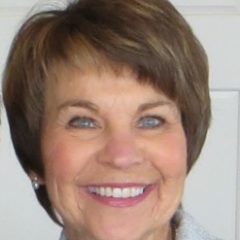 An Evansville, Indiana group meets frequently for support. If you are looking to touch base with others in southern Indiana please contact them. 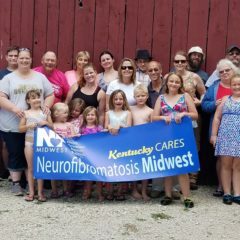 Kentucky is working to create a great, supportive NF community. Meetings are now being held in the Lexington area almost every month! They’ve also been holding a picnic in the summer!